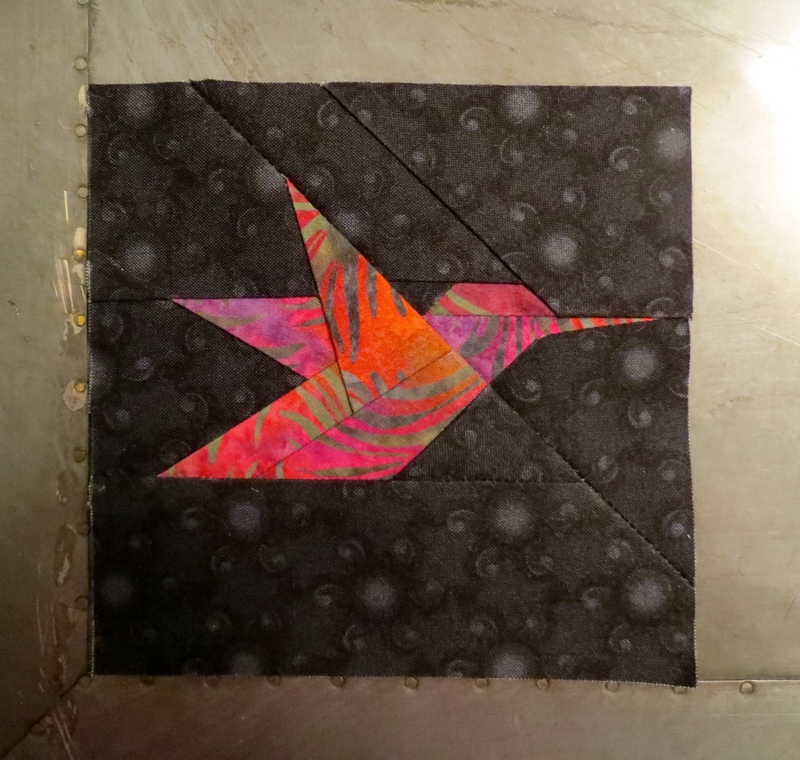 Block #70 for Kelley M.
Tonight’s bird is dedicated to my friend and former co-worker Kelley M. I have a bunch of crafty, quilty, sewing friends and she is one of the coolest. She is a wiz with her embroidery machine and comes up with some of the neatest stuff. I have often been tempted to ask her to make my quilt labels. But I don’t really bring much to the table by way of trade. Roll around in your stash! Now that sounds like fun! !